Many can relate to this concept through the principle of Yin and Yang or Feng-Shui which has become increasingly popularised over the last half century. On a deep fundamental level an understanding of opposites and how they combine to form a whole can literally offer an explanation on why we exist, however, on a more rudimentary level it can also offer a guiding philosophy on installing peace and harmony in our daily lives. Historically Mankind has known of the deep and somewhat mystical properties of opposite states for thousands of years. During the early Han dynasty (207 B.C.-9 A.D.) attempts were made to standardize Chinese culture and Chinese philosophy. An attempt was made to unify all the rival schools of Chinese thought and philosophy that had developed over the previous three hundred years. This syncretic project of the early Han is known as the Han synthesis. The Han philosophers concentrated specifically on the Five Classics, attempting to derive from them, particularly the I ching, or Book of Changes, the principle workings of the Universe, or Tao. 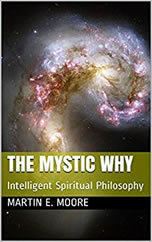 This new theory of the universe they appended to the I ching; this appendix explains the metaphysical workings of the entire universe and is the origin of what is called the ‘Yin-Yang’ or Five Agents school of Chinese thought. The fact that the findings of some of China's great thinkers could be summarized using the principle of opposites clearly suggest that opposites contain something filled with enlightenment and wisdom. 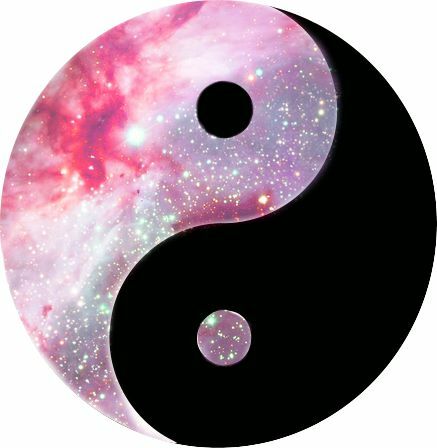 The UMO stance on opposites bares some commonalities with the Yin and Yang principle although they are not exactly the same; however, it is worth noting that the core of our philosophy is condoned by some of the world's greatest philosophers and is still influencing current holistic theories. One of the primary reasons opposites dominate our existence here on earth is because we exist in the realm of separation. Hence we experience night and day, we are divided into male and female, we experience emotional conditions such as happiness/sadness and pain/pleasure, and we encounter mental conditions such as finding things interesting/disinteresting and perceiving things as being valuable or invaluable. Our entire existence is governed by opposite conditions because the place in which we live is entirely constructed of them and hence they lie at the very core of our existence. Although opposites are distinct things in their own right it is important to recognize that each coexist by consent of its other half. For example you cannot have up without down or sickness without health, remove one from existence and you have to remove the other. The significance of this to our lives results from the understanding that this fundamental rule also applies to conditions such as happiness and sadness. We are all taught to seek happiness but what we fail to realize is that happiness cannot exist without sadness; therefore if we seek happiness we are destined to encounter sadness because both depend on each other for their existence. How can this happen? Firstly, happiness is a temporal condition brought about by you getting what you want, and just like an economy, every boom must end with a bust. Every high must eventually meet with a low. Anyone who uses stimulants to achieve a temporary high will freely acknowledge they encounter a come down eventually (usually the next day). Furthermore, because happiness is a form of joy generated by you getting what you want, when you get what you want the joy must eventually cease, and because it was an artificial high a period of disenchantment or unhappiness must eventually be experience. Everyone can relate to this on some level, and from this one must acknowledge that happiness is an unsustainable event. Try as we might to capture its essence, happiness is a temporary condition. Another way of viewing the conditions of happiness is to say that happiness relies on you getting what you want. However if happiness depends on 'want' then we have to encounter a period of being in want, which means we must encounter a period of unhappiness brought about by a sense of lack and un-fulfillment (the low before the high). We rarely consider the implications of our decisions, but the more 'wants' we have in life the greater the feeling of dissatisfaction we must feel, and in this sense, the pursuit of happiness can only lead to sadness. In our modern day society we are constantly bombarded with advertisements suggesting we are lacking, that we are incomplete until we posses a certain item or attain a certain life style. Never before had we had such choice, yet we are more disenchanted than every before. How then should we live? In every aspect of life the center of two opposite conditions always creates harmony. For example, the northern hemisphere of the earth is prone to extreme coldness and the south extreme heat; however, at the center of the equator we encounter a more harmonious and stable temperature. A balanced diet is more harmonious than one of the more extreme on offer (e.g. only carbohydrates or protein). Too much exercise has a detrimental effect on our bodies as does too little, but find the right balance and it benefits our feeling of health and general well being. If we take life too seriously we become dower and dictatorial, however by taking it un-seriously we become irresponsible and lack compassion; find the right balance and we have a mature responsible being capable of relaxing into life. In every aspect of life we can see that the center of two extremes produces the most harmony, and therefore by leading a balanced life we too can create the most harmony for ourselves. Bringing ourselves into balance requires us to realise that value is illusionary. It is value that creates division because we begin dissecting life into the good and bad, the interesting and uninteresting, the superior and the inferior. Value is illusionary because we fail to recognise that opposites are part of a cohesive whole, and as such, both opposite conditions are of equal importance. You cannot have up without down and you cannot have hot without cold, therefore to try and label a particular condition as being more important than it other half is illogical and self-defeating. Let’s take a simple example. We tend to label thin people as being more attractive and social valuable than larger people. However, suggesting that thin is desirable means we must view larger people as undesirable because opposites rely on each other for their existence (i.e. to like one condition is to dislike its opposite state of being). Hence, if we allow ourselves to buy into this suggestion we do two things. Firstly, we label larger people as undesirable and hence see them as our social inferiors. By doing this we create division, we invite negative emotions into our life through the feelings of repulsion and distain (various forms of hate). Furthermore we spread hate and resentment into the larger populace because the larger members will eventually resent being devalued and feel the need to fight back at what they see as an unjust viewpoint. Secondly, we must fear the opposite of what we consider valuable or likeable (i.e. we must fear putting on weight). Consequently, the greater the value we place on being thin the greater we experiences the aforementioned negative emotions. Through this simple analogy one can see that value creates hate, spreads resentment and fear. Hence the more value we and society posses the more hate, resentment and fear we will experience both on an individual and societal level. If you have ever wondered why there is so much disharmony in modern-day society you now have the answer, it's because we have become swamped in the concept of value. In our modern-day society we rarely experience real freedom because we are constantly asked, and often emotionally blackmailed, into accepting another’s definition of what is valuable. People are queuing up to tell us what to ware, eat, drink, and what to do with our free time all because they have falling under the illusionary suggestion of value. We feel restricted because we are no longer feel free to live life unhindered, instead we are constantly asked to fulfill some else’s definition of good. Nevertheless, this realisation can lead to our greatest salvation for when we realise the futility in value we can release ourselves from our self inflicted imprisonment. By developing our understanding of opposites we are in a sense, observe something mystical, something that is attached to reality. We live in a universe dominated by the concepts of separation yet we have always rebelled against its underlining principle. Through law and order we try to bring equality into existence. Through the development of governments we attempt to bring individuals together under one national banner. Through religion also we attempt to bring nations together under one philosophy of life. Even medicine is concerned with discovering the antibody of some condition and by doing this we can rid sickness out of being. EVERYTHING that is beneficial to our well being is brought about through the balancing of opposite conditions. There is something fundamentally enlightening about the center point, something mystical. One of the core teaching of the UMO revolves around the logical proposition that because everything has an opposite state of being, so our universe as a state of being must also have an opposite state of being, just like hot has cold or up has down. This is discussed more fully in our supporting literature but what this demonstrates at a primary level is that there is more to existence than our universe. We live in one extreme opposite state of existence like someone that lives in the northern or southern hemisphere of our world unaware that there is a greater whole, where the center point offers them a warm and fulfilling existence. Imagine a place that was stable and free from opposite conditions such as sickness, lack, and limitation. Such a place would be looked upon as a paradise by many. Is it possible there is place similar to that expected of the mythical heaven? To appreciate this we must prove there is more than our universe; that our universe is part of a greater whole. Through the theory of opposites we can demonstrate just that, proving there is something resembling a heaven however is a rather more complicated affair (see Dialogue 5 – The Universal Mind & I, offered free to our readers for a greater explanation). What we can demonstrate however is that our Universe is but one half of the totality of existence and therefore our perception of existence is out of balance. There is more to life than meets the eye. It is only when opposites are brought together that they find completion. The reason that men and women can find completion in one another is because the masculine and feminine traits can merge into a whole and hence find completion in one another. The active and sometimes aggressive qualities of masculinity can be softened by the feminine receptive caring qualities and vice versa. That is not to say we cannot find completion in solitude for we can, it simply means we must balance these qualities within ourselves. Likewise, if we imagine a coin that represents the totality of existence and our universe as being but one half of the face of that coin, then it is obvious that the projections of our universe are incomplete. Reality is, symbolically speaking, the coin, and to see the totality necessitate that we see the whole coin. The only way to do this however, is through learning the principle of opposites and it is for this reason it lies at the very core of our philosophy.